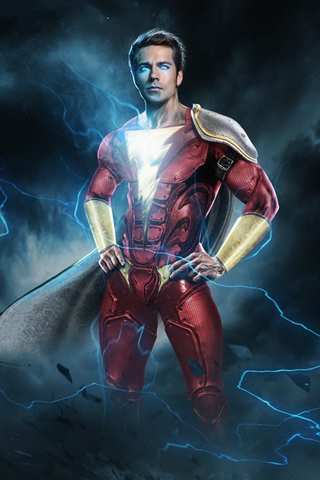 DC's upcoming Shazam! solo film is still shrouded in mystery, but it looks like the film's antagonist has officially been confirmed. In a recent interview with Celebretainment, Mark Strong confirmed that he will be playing the film's main villain, Dr. Thaddeus Bodog Sivana. The actor, who most notably appeared in 2011's ill-fated Green Lantern movie, revealed that he picked the role partially because of the "unfinished business" he had with the DC universe. As fans have seen, Shazam! is being regarded with a very special sort of secrecy, with director David F. Sandberg going the extra mile to hand out the film's script. And according to Strong, that brings about some pretty unique challenges. 'If you stop reading the script for 20 seconds then the whole thing goes fuzzy and you have to start again." Strong explained. "Everything is watermarked and traceable too." With Shazam! set to begin production sometime soon, Strong is doing what he can to prepare for the project, including some specific stunt training. Strong also teased the tone that fans can expect to see within the film, citing one of the most prominent examples - the Tom Hanks classic Big. Shazam! will officially land in theaters on April 5th, 2019.